It is with regret that the board of directors accepted the resignations of Christopher Haines and Jean Shervin at the Nov. 16, 2018, board meeting. Chris and Jean are longtime members whose dedication and hard work have been at the core of our Foundation. From running meetings, baking for events, volunteering at homecoming, guiding donors through the process of establishing scholarships, to promoting our mission throughout the community, Chris and Jean have epitomized what we stand for. We thank them deeply for all they have done for our community. 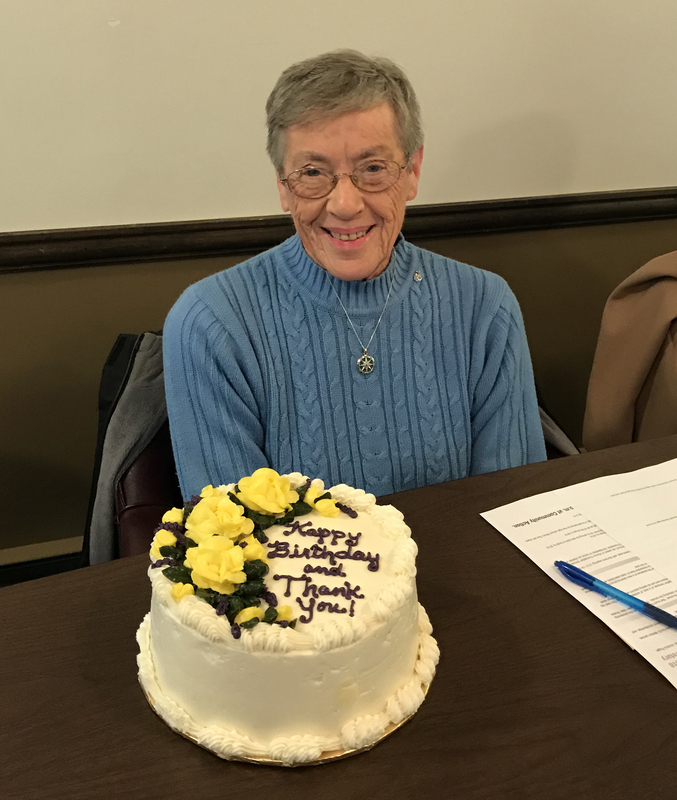 Jean Shervin announced her resignation at our last board meeting, which was also her 85th birthday. We celebrated with a delicious cake made by Laura Simboli. 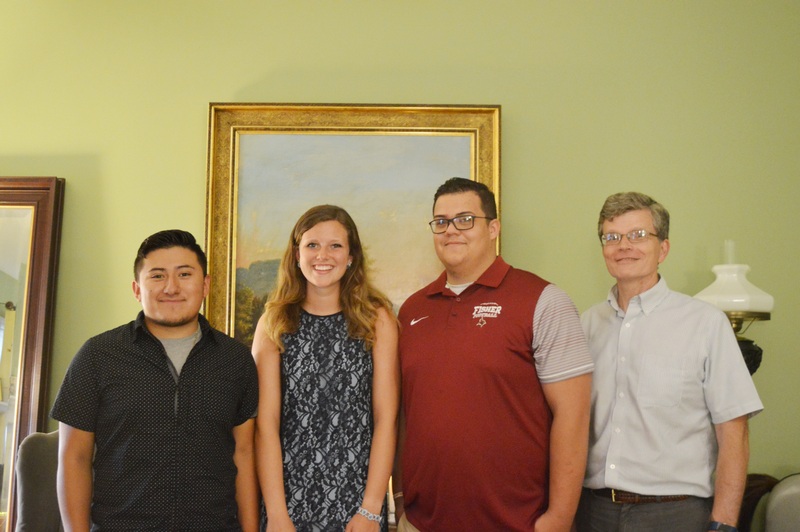 Chris Haines, left, with three of our scholarship recipients at last year’s reception. Chris was ever-present to assist both donors and families with navigating the scholarship process.